It has been very quiet here. We took a little time off to enjoy family and friends and to find new inspiration. We found it! After summer already started we decided to give you one more summer dress. A pattern that you can sew in half a day. We love this one. 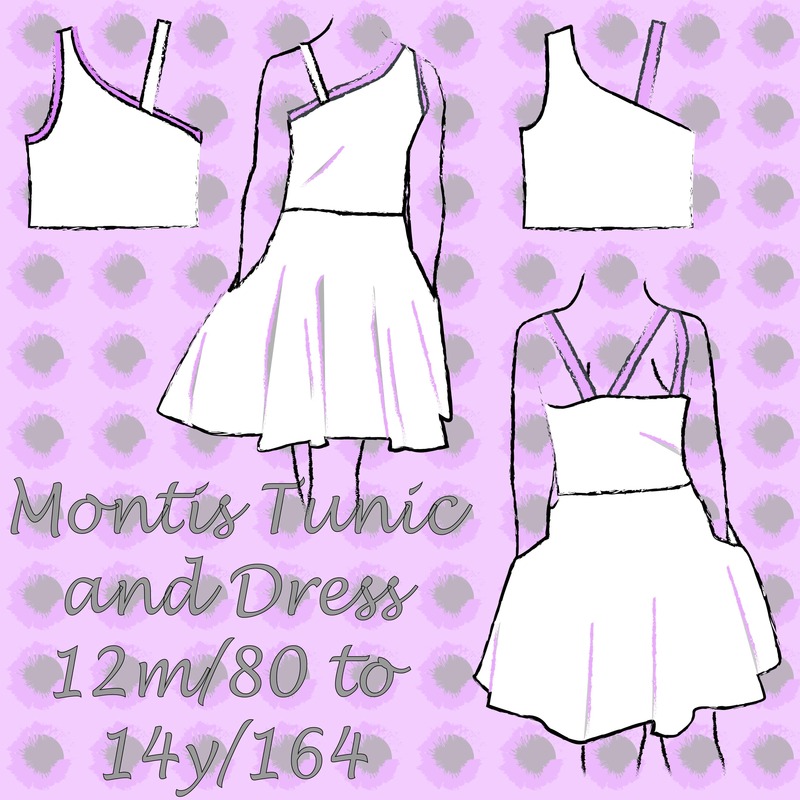 The Montis Tunic and Dress comes in sizes 12M/80 to 14y/164 and will be released in Dutch, French and English. There are two bodice options and there is one skirt option in two lengths. Option A is a lined bodice with 3 straps. The front has one shoulder and one strap showing. The back is where you get to add the fun colors. The skirt is a 3/4 circle skirt with pocket option. The hem is made using a rolled hem or biastape. If you want to add a normal hem, you’ll need to add hem allowance. Option B is not lined. It has ribbing along the neckline and armhole. The front and back are the same, and there is only one strap. This pattern looks great on the little ones but also on the big ones. We changed the neckline a little once we hit size 10 to make sure there is enough coverage. One of the testers told us it passed the ‘daddy approving test’. On to more info about the pattern details and SALE. The pattern comes in sizes 12M/80 to 14y/164. It is made for knit fabrics. The instructions come in either Dutch, French or English. Pattern pieces come in letter/A4 size. The pattern will be on release SALE for 48 hours. You can get yours for only €5,- excl EU taxes.